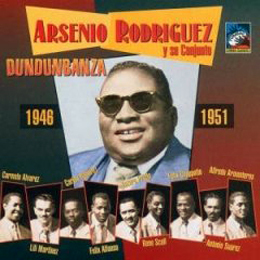 Arsenio Rodríguez is at or near the top of almost everyone's list of the most important figures in the history of Cuban music. To fully understand why, mentally transport yourself to 1939 and spend a few weeks immersing yourself in the son recordings of the 20s and 30s. 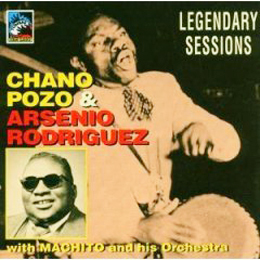 Once you're well acclimatized to the world of the Sextetos Habanero and Nacional, imagine yourself in Havana in September of 1940 and listen to Arsenio's recordings in the order they were released. There are sudden quantum leaps in rhythm, harmony, arranging, orchestration and musicianship. Arsenio's innovations included the additions of the conga, the piano, multiple horns, the extended bloque, the horn mambo, and, most pertinent to our current study, the complete reinvention of the role of the bass. 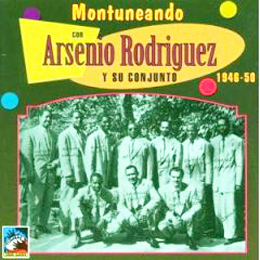 Above all, Arsenio revolutionized Cuban popular music by injecting it with potent doses of rumba and Afrocuban folkloric influences. And historical innovations nothwithstanding, the songs and performances are pop music classics -- historic for their aesthetic merits alone. Studying Arsenio Rodriguez can be challenging at first because his best recordings are only available as mono reissues of old 78's. The unamplified acoustic bass is quite low in the mix and the overall frequency response is very limited by modern standards. This article will use MIDI recordings to help you pick out and understand some of the subtleties of these historic recordings. The world has yet to fully discover Arsenio, but it's catching up bit by bit. Recently, two extraordinary books have been published which tell Arsenio's colorful story and place it in historical perspective. These books were the direct inspiration for this current article and I can't recommend them highly enough. Cristóbal Díaz Ayala, now 76 years old, who amassed the largest collection of Cuban recordings in the world, meticulously documented it in a comprehensive online discography which contains very nearly every record ever made in Cuba prior to 1960, and donated it all to Florida International University. Milonga.co in the UK has a very nice guide through the current maze of CD compilations. Last but not least, Latin radio pioneer Emiliano Echeverría has studied and collected Arsenio recordings for decades. His timba.com section also includes links to archives of his radio shows, featuring many unreleased tracks and even some rare live airchecks. On Christmas of 2004 and again on Christmas of 2005, Emiliano dedicated an entire 2 hour show to Arsenio, including out-of-print tracks and fascinating historical information. These two shows are treasures. 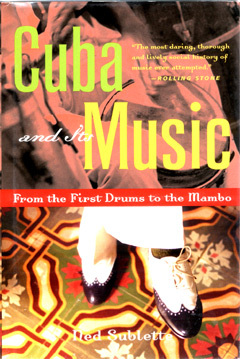 2013 NOTE: Since this article was published, Tumbao Cuban Classics released a 6-CD boxset including many Arsenio tracks not previously available on CD. Additionally, I've written three more essays on Arsenio: one in Beyond Salsa Piano, Vol. 1, one in Beyond Salsa for Beginners, and a very extensive section in Beyond Salsa Bass, Vol. 1, scheduled for publication in early 2013.